Famous socialite Kim Kardashian launches new body perfumes: KKW Body II and KKW Body III. First Body perfume was introduced this spring (2018), and now she fills up with two more new body perfumes coming out this fall. These fragrances ideally portray her naked curvy body and are infused with strong extracts of fruity/flowery notes. 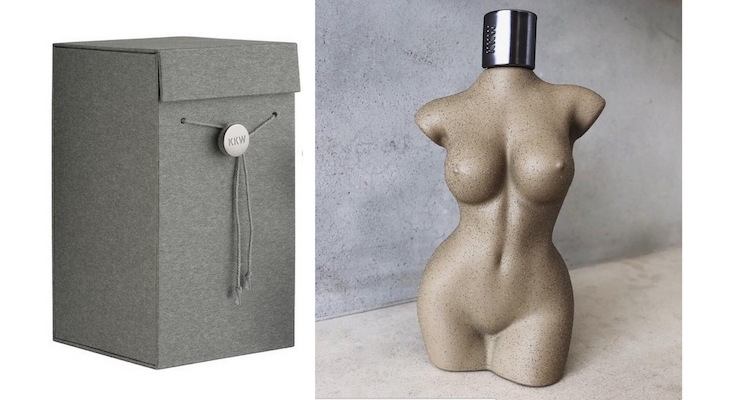 KKW Body II and KKW Body III Perfumes come in gray and brown colored bottles, with Body II being a nice fruity/floral woman perfume, and KKW Body III a more oriental/spicy unisex fragrance. Anytime, Kim Kardashian launches smth be it either a perfume or cloth it is definitely a wow and a hit. Her fans really adore what she creates and everything she tries her hand at becomes famous and praised. Also, as she states, these perfumes are like ‘narcotics’ that offers unbelievable aromas and feelings.